A new civil lawsuit in California has revealed details of how Chinese telecom firm Huawei—flagged by U.S. intelligence as posing serious security risks to American citizens—schemes to steal trade secrets from U.S. companies. In a whistleblower retaliation case filed in a Northern California state court, former Huawei employee Jesse Hong claims that the company fired him after he refused to pose as a staffer at a fake company in order to gain entry to a tech summit hosted by Facebook. According to the court complaint filed in June, Hong was a senior software architect employed by Huawei’s American subsidiary companies from May 2014 to March 2018. In November 2017, Facebook hosted the Telecom Infra Project (TIP) Summit at its headquarters in Menlo Park, California, attended by American startups who specialize in telecom tech—in other words, Huawei’s competitors. Facebook refused Huawei and its U.S. subsidiaries’ request to attend Facebook’s closed-door private meetings with U.S. companies. So Huawei asked Hong and several other employees to register for the summit using fake U.S. company names, then infiltrate a meeting using their fake identities. Hong refused to comply and reported the misconduct to Huawei’s human resources department. Meanwhile, Huawei was able to compile a report on the TIP summit that included integration plans from Huawei competitors that attended the summit, and transferred that information to Huawei’s product teams in China, according to the complaint. Another Huawei employee used his consulting work with several American tech companies to gain confidential information from them and passed the intel on to Huawei. In March 2018, Hong was laid off. His severance package included a request to waive his claims against the company. Hong is now suing for retaliation, workplace harassment, and unfair competition, among other charges, for a total of $105 million in damages, plus legal costs. The TIP told East Bay Times, which first reported the lawsuit, that it was reviewing the claims made in the case. 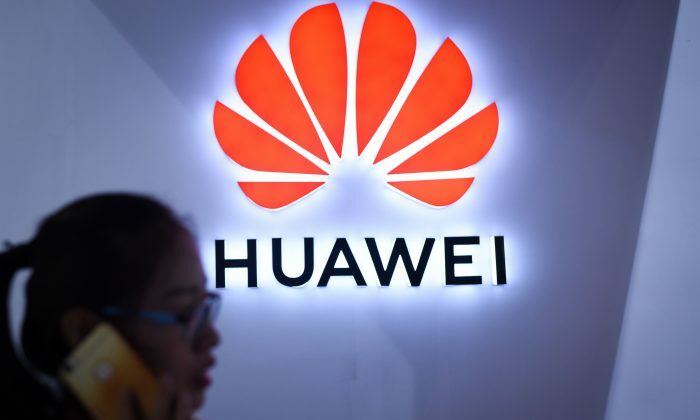 The case emerges as governments like the United States and Australia have expressed concerns that Huawei could conduct espionage on behalf of the Chinese regime, given the company’s close ties to the Chinese military. In May, U.S. lawmakers introduced legislation that would bar the U.S. government or contractors from buying Huawei products. In June, Facebook revealed to Congress in a written testimony that it had shared user data with Huawei and several other Chinese firms in order to improve user experience on devices produced by those Chinese firms, which compelled U.S. lawmakers to seek more information on the nature of the partnership. Huawei’s conduct is part of a growing pattern of Chinese firms using aggressive tactics to steal foreign technology. It is key to the Chinese regime’s national strategy to dominate global supply chains in advanced tech industries. South Korean media recently exposed Chinese attempts at stealing technology key to making OLED (organic light-emitting diode) screens, pioneered by South Korean tech conglomerates. In early July, a South Korean court ruled in favor of Samsung Display in a lawsuit against a former employee who planned on taking a job at an affiliate of Beijing Oriental Electronics, a Chinese manufacturer of OLED screens, according to a report by Korea Times. The court banned the former OLED engineer from taking on his new role, after he was found to have violated a nondisclosure agreement that stated he would not get a new job in the same field within two years. Samsung had been concerned about the likelihood of key technology being transferred via its former employee. In a June 26 report by Maeil Business Daily outlining China’s tactics for stealing South Korean technology, citing information from the country’s intelligence agency, one example was via “overseas exhibitions” where the latest high-tech products are shown. Chinese parties would try to build relationships with the exhibit coordinator in an effort to eventually acquire key insights.